Phantom 2040 probably never stood a chance. Firstly, it was released towards the end of the 16-bit era on SNES and Sega Genesis. Secondly, it was based on the TV series spin-off of a comic book licence that wasn’t hugely popular at that time to begin with. It was no surprise then that Phantom 2040 was largely ignored by gamers – but it did find some traction amongst contemporary reviewers. And over the years, the game’s reputation only seems to have grown. With its ambitiously non-linear, Metroidvania-style level design, Phantom 2040 has now widely come to be regarded as a forgotten gem of the SNES and Genesis game libraries. 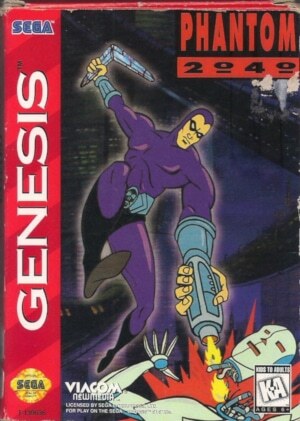 Just as outstanding as the game itself is the Phantom 2040 soundtrack – although that only applies to the Genesis version. This is where things get a bit murky as to who was responsible for what. Matt Scott and Burke Trieschmann are credited for the music and sound effects of the SNES and Genesis ports of the game. However, the two soundtracks could hardly be any more different from each other. 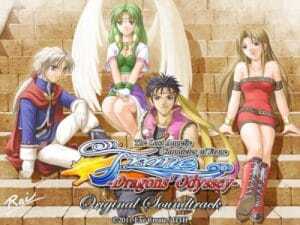 Where the Genesis score impresses with its white-knuckle intensity, the SNES music is consistently dull, with average sample quality and none of the Genesis version’s energy.